“The Church keeps its word and is absolutely firm in its commitment to not accept the names of Holocaust victims for proxy baptism. It takes a good deal of deception and manipulation to get an improper submission through the safeguards we have put in place. While no system is foolproof in preventing the handful of individuals who are determined to falsify submissions, we are committed to taking action against individual abusers by suspending the submitter’s access privileges. We will also consider whether other Church disciplinary action should be taken. In the 1990s the Church made it a rule that the names of Holocaust victims could not be submitted to the temple for proxy ordinances to be performed for them. This was in response to Jewish leaders who found the practice offensive. The only condition under which the names could be submitted is if a direct descendent submits them her or himself. So since the mid 1990s, it has been against church policy for church members to submit Holocaust victim names. The Church has safeguards in place and it takes”willful violation” and “a good deal of deception and manipulation” to get around those safeguards. The Church does not look kindly upon those breaking the rules in this matter. I’m going to offer my perspective on the matter of proxy baptisms (and other ordinances) for those who have died. Some outside the Church find the work offensive, others do not care either way (without any statistical evidence I’d guess that most people do not care about baptisms for the dead). There are varying reasons for taking offense at the actions but I will only cover the doctrine of baptisms for the dead. First, proxy ordinances for the deceased is not a new creation of the LDS Church. It is Biblical (“Else what shall they do which are baptized for the dead, if the dead rise not at all? why are they then baptized for the dead?” 1 Cor. 15:29) but the LDS Church does not rely completely on written scripture, we believe in modern day revelation with living prophets who speak God’s words, just as prophets did anciently. Living prophets have also taught of the importance of proxy work for the deceased (e.g., this talk by an apostle of Jesus Christ). Why is this work important? We believe that in order for people to return to live with God again, they must receive certain necessary ordinances, including baptism and confirmation. Baptisms in the LDS Church occur when individuals are at least 8 years old, when they are old enough to choose for themselves (particularly choosing right from wrong) and start to understand the baptism. We believe that all people must receive this ordinance. So what happens to all those who died without the opportunity? Are they forever damned? No! God provides a way for them to have that work done on their behalf. Members of The Church of Jesus Christ of Latter-day Saints can attend LDS temples and do this work on behalf of those who have died. Proxy work is not a new concept – ancient Jews believed and practiced it (the law of Moses includes many proxy ordinances) and ancient Christians did as well. Jesus Christ offered the greatest of all proxy work – that of the Atonement for all humankind. He did what we could not do for ourselves – overcome sin and death. In a like manner but on a much lesser scale, we have the opportunity to help those who cannot perform this work themselves – those who are dead. To truly understand LDS baptisms for the dead, it is necessary to understand LDS theology regarding the purpose of life, what happens after we die, and our relationship to God. That’s more than I can cover in this post but suffice it to say that a portion of what people might find offensive about these baptisms for the dead is based upon misinformation about the purpose of the work. I’m not saying that people are only offended because they misunderstand, I’m saying that there is a lot of contextual doctrine that needs to be understood before the reason and goals of these proxy ordinances for the dead can be understood. We believe that when people die, they enter a period of rest and learning and yes, even suffering. Some people will suffer for the wrongs they did, others will just have to learn more, and still others will be involved in teaching those who need more knowledge to continue to progress. What is important though is that agency – the ability to choose right from wrong – is never taken away. After we die, we are still the same people, just without physical bodies at the time and with a little more knowledge than we had while mortal on earth. Once a baptism is performed for someone who is dead, it does not make them Mormon or even Christian. If that person accepts the work then they can become part of God’s Kingdom but again, the choice is never made for him or her – it is an individual’s responsibility to accept or reject Christ. So let’s say that Ms. Jane Brown died in 1854 at the age of 16. Her physical body was buried and her spirit went to the Spirit World (which is here on earth) to be with family members and friends. Jane was never baptized in The Church of Jesus Christ by one holding God’s Priesthood; she had been baptized as a child but it was not done with God’s authority (that does not mean it was meaningless, just not valid – that’s a big distinction). We believe that God’s priesthood – the authority and power to act in His name and perform the necessary ordinances and rituals – is found only within The Church of Jesus Christ of Latter-day Saints. Down the road, one of her relatives (let’s say a great-great-great niece) is a member of The Church of Jesus Christ of Latter-day Saints and wants to offer her the same opportunities that she has; so, she performs work in an LDS Temple for and on behalf of Jane. The work is done – baptism, confirmation, sealing to parents (assuming their work was done as well) – but it is up to Jane to accept it or not. Those who are deceased are never forced to accept the work performed on behalf of them. If they do accept the work, they will have done what is necessary – exercised faith in Jesus Christ and repented. This is not much different than how it works in this life. The gospel of Jesus Christ is inclusive, not exclusive. Christ beckons all to come unto Him. He does not want to save just those who lived in times or places where His gospel was taught, He wants to save all who accept that salvation. Baptism (in life or by proxy in death) by those with God’s authority is an essential step in returning to God again. This is why baptisms for the dead are performed – to offer all the opportunity to return to live with God again. There are more reasons for baptism for the dead. There is a lot more I could write. I’m not trying to justify the practice to those who are offended, I’m simply offering theological background to the practice. We Mormons view it as a great act of love to perform this ordinance for others; it goes beyond that as well, we view it as something that has to be done. It is ideally done for our own ancestors but we are asked to help perform the work for others. When people submit names to the temple to have work performed for them, those submitted names should be those of their ancestors, generally not random people to whom they are unrelated. At some point in the future, baptisms will have to be performed for everyone who ever lived on earth but much of this work probably will not be done until the Millennium, a time when Christ has returned to earth to rule and reign. A lot of the problems come from misinformation and misunderstandings by people on both sides of the issue (i.e., within the church and without the church). Both sides would do well to have increased communication and information about each other’s concerns and practices. A while ago I stated I’d post more about a particular website that is critical of The Church of Jesus Christ of Latter-day Saints and some of its doctrines. My blog is not meant to be inflammatory; I’m not acting as apologist for the LDS Church. My posts are meant to be essays that I might use for Sacrament Meeting talks (although I haven’t scrutinized the doctrines within them as closely as I would if I were giving these as Sacrament Meeting talks). However, I stated I would comment again about the Mormon Coffee website so this post is me upholding my word. First I want to note that as a member of the LDS Church, my views are biased towards the Church. Does that mean that I cannot think rationally about my faith? Certainly not. However, I will always err on the side of trusting the living prophet and the majority of the Twelve Apostles (as well as personal feelings that come from the Holy Ghost) if I am unsure of something. If the Church has no official position on a topic, I will not form a solid personal “doctrine” on that topic. I will form (or not) opinions but will only share them as I see fit and then only if I make it clear that they are opinions. That being said, the writers of the Mormon Coffee blog are people who, regardless of their past or present relationship with the LDS Church are not believers of Mormonism. I could be wrong, of course, but nothing I have read on the site has led me to believe that any of the articles are written by members of the LDS Church who are fully invested in LDS faith and doctrine. This means that, however balanced some of the posts may be, the authors are biased against the Church. This means in matters that seem perplexing or contradictory, the authors are not going to give the LDS Church (or church leader or doctrine) the benefit of the doubt, at least in most cases. I point this out so all are aware of the biases of all authors, myself included. With a quick perusal of the site one finds many quotes from early church leaders. Brigham Young is a favorite early church leader to quote, as is Orson Pratt. I’ll quote from my previous post and go from there. I have never read an article or post critical of Mormonism that did not largely draw from quotes from long-dead (or at least non-living) church leaders. Why is this? Some argue that what church leaders say today is censored and does not represent raw Mormonism (whatever that means), it represents politically-correct Mormonism. I will not discuss the merits or lack thereof of this argument. The only thing I’ll say is that we live in a world where words are easily recorded and widely distributed. What someone says can be all over the world within minutes, unlike even 15 years ago. All public persons are (usually) more careful with what they say in public (and in private). So, why quote past prophets more than living ones? It’s to try to show inconsistencies. However, what the living prophet says always has precedence over what was said in the past. Does this discount past scripture or prophecy? Usually not, but new revelation having precedence over the past was the way things worked in the Old Testament as well as in the New Testament. The Law of Moses was a change to what had previously been taught. Jesus came and fulfilled the Law of Moses and stated that there was no more need for animal sacrifices and many of the other rites of the Law of Moses. Peter received revelation that he should preach the gospel to all people and not just Jews, like Jesus did. Paul received revelations and taught new doctrines. In more modern times, the LDS Church (in the 1890s) stopped practicing polygamy. In the 1970s, all worthy males, regardless of race, were allowed to receive the priesthood. Church doctrine can and do change over time. This is why using random quotes from Brigham Young or Orson Hyde or Bruce R. McConkie, which may be interesting from a historical standpoint, is not a completely valid way to “critique” the doctrines and beliefs of the LDS Church. It’s like people who use random scriptures from the Old Testament (or even the New Testament) to attack Christians or Christianity in general. Besides, what a prophet or apostle says or writes is not always official church doctrine. As I wrote earlier, only the current living prophet has authority to teach and give the official church position on a matter (another apostle sometimes speaks for the prophet though). The Lord’s house is a house of order. Did I address the issue completely? No, but as I stated earlier, my blog has a very narrow focus at this point and this is not the forum to continue the discussion beyond one more response. In this post, the following was written. “Perhaps Mormons could consider this scenario. A powerful and influential group has begun collecting the names of Mormon pioneers and martyrs. They are compiling them into a database which is accessible to researchers worldwide and will likely continue to be accessible for hundreds of years. This database includes records for each Mormon who has given his or her life, or sacrificed in another significant way, in consequence of their determination to remain faithful to the Mormon Gospel. Attached to each name is a letter of resignation from LDS Church membership, sent by proxy to Church headquarters in Salt Lake City. “Though the letters are written and sent only to provide these departed ones the opportunity to leave Mormonism and join another church if they so wish, do LDS descendants of these Mormon pioneers merely shrug off their ancestors’ proxy resignations without another thought? Are Mormons not concerned about what future researchers may find and mistakenly believe about these LDS heroes? I know I’m taking that quote out of its broader context, and the author states that the issue is complicated, but the scenario put forth in the post reveals that semantics are the issue (i.e., what Mormons call “giving the opportunity to accept baptism” this author is calling “giving the opportunity to reject their previous faith”). As I said, it’s semantics. 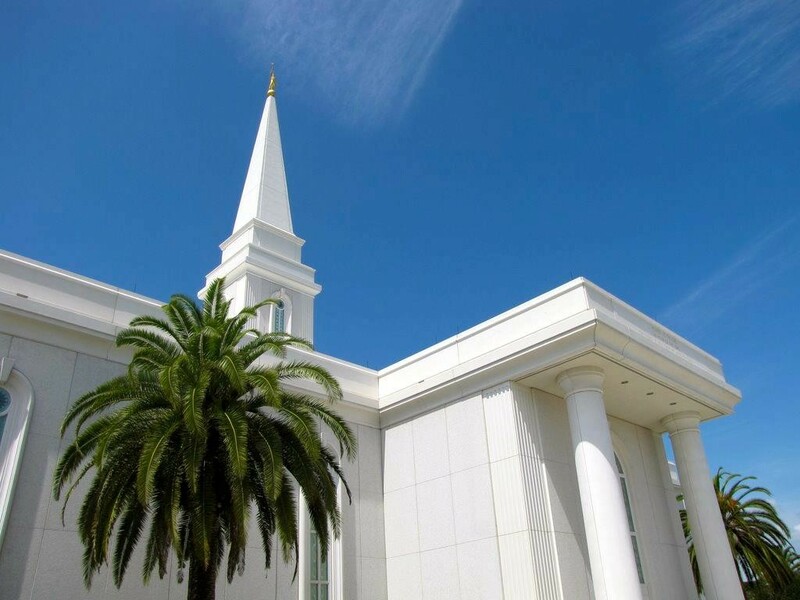 Mormons performing baptisms for the dead is compared to sending in proxy resignations from another belief or religion – giving dead Mormon pioneers an opportunity to resign from the LDS Church. Why would that be offensive? As an LDS Church member, if someone cared enough about my dead ancestors to perform a baptism or some other ritual on their behalf in the hopes that it would give them the opportunity to accept it, I’d be honored. My ancestors have free will, they can choose for themselves. First, calling President Gordon B. Hinckley insensitive reveals that the author was not familiar with him – he was one of the most sensitive people. He did more to build bridges with other religions, faiths, and people than any previous church president. He was someone who really understood others. This author doesn’t really try to understand the LDS viewpoint though (okay, maybe she does but she does not give the LDS viewpoint more than cursory acknowledgement). If she had, she would hopefully understand from the LDS perspective that it is the height of insensitivity for us not to perform these baptisms. Is that arrogance? Arrogance is in the eye of the beholder; I certainly do not ever perform proxy work for the dead out of arrogance. If someone sees what I do as arrogant, that is ascribing motive and feelings to me that I may or may not have. People see what they want to see in others. On top of that, we (collectively as a church) have been commanded by the Lord to do this proxy work. So, as members of the LDS Church, we go against God’s commandments if we do not do this work. I will not address the issue of whether or not Holocaust victims’ proxy temple work should be done – that’s a separate matter. That is all I will say on these matters because I do not want to turn this website into something other than a series of gospel essays by one LDS Church member who does not and cannot speak definitively for the LDS Church. That is a call I’d like to extend to the youth of The Church of Jesus Christ of Latter-day Saints. The temple is a place of beauty and blessing. You Young Women and Young Men [ages 12-18] are able to go perform baptisms for the dead. Living the gospel – keeping the commandments and remaining true to your baptismal (and priesthood, for you young men) covenants can be difficult at times. Pres. Monson, our beloved prophet, stated in the April 2008 General Conference of The Church of Jesus Christ of Latter-day Saints, “[You] youth…in particular, face temptations we can scarcely comprehend. The adversary and his hosts seem to be working nonstop to cause [your] downfall. We are waging a war with sin…but we need not despair. It is a war we can and will win” (Ensign, May 2008, p. 90). You youth are in the midst of a war for your souls. On one side are Satan and his followers; on the other are the Lord and His followers. You choose which side to fight for. There will be casualties along the way but we know which side wins in the end. Just as Helaman’s army suffered no losses, with faith and righteousness you can survive the battle and not be counted among the casualties. You might be wounded and suffer blood loss but those are wounds that can be cleansed and healed at the fountain of living waters. Satan will try his utmost to keep you from attending the temple. He will try all sorts of feints and tactics. He will try to get you to lower your guard and remove your armor but you must remain strong and ready. You have inspired parents, leaders, and friends who can help you remain strong and faithful and who can help prepare you to enter the temple and receive its blessings.